I have never been a very religious type, always bracketing myself as more of a spiritual being than religious. But still I go to a lot of temples, Gurudwaras, Churches and Dargahs. My aim is always to try to capture the essence of the place which normally is bigger than just the religious emotions places of worship evoke. One of the reasons I love going to Temples is their Historical significance and the wonderful photo opportunity they offer to a travel blogger, not just of the temple but also of the streets and people in and around the temple, as I discovered during my trip to the Sacred Center of Hampi. While India is littered with more temples than fallen leaves on a jungle floor, Birla Temples have a special place in them. There are many reasons for it one of them is that they have been built by a Birla family in different parts of the country in modern times. Though they are modern temples they follow the ancient principles of temple construction meticulously I have personally been to the Birla Mandir in New Delhi, Kolkata , Jaipur and now recently to the Birla Mandir on Naubat Pahad in Hyderabad. 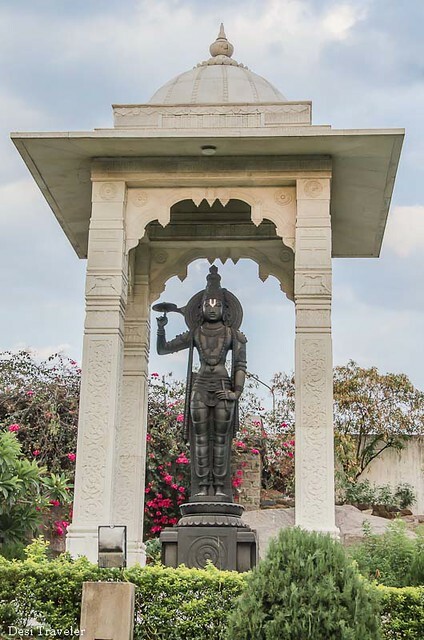 All the Birla temples are dedicated to Vishnu the nurturer. Birla Mandir was also the first temples in India that opened their doors for all irrespective of caste, creed, gender and religion. 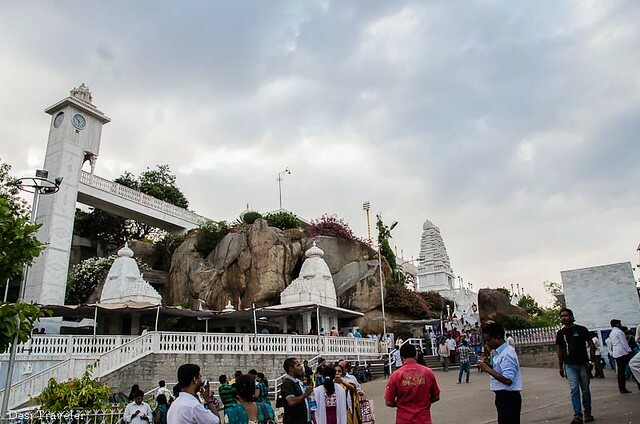 The Birla Mandir in Hyderabad is on top of Naubat Pahad (the same hillock that was rumored to have a treasure ). The excavation had to be stopped due to various political and administrative reasons, giving a big sigh of relief to the people in the area who were worried that their houses may collapse due to excessive tunneling. The Birla Mandir is open all seven days from early morning to late evening and there is no entry ticket. 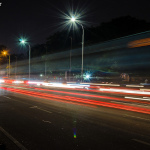 There is a small parking available where you can park, of you can also park in the Birla Science Museum and Planetarium complex and walk to Birla Mandir. 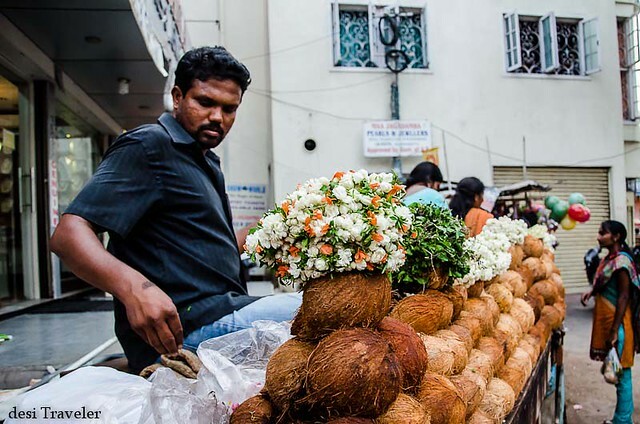 There is a small bazaar just outside the temple from where you can buy offerings like coconuts, flowers and sweets to offer to Lord Venkateswara, in the temple. As the temple is on a hill after a steep climb, you need to be a good driver to approach the same. Once you have parked your vehicle you will see the 3 layered temple as it is on a hill. The different shikhars of the temple are made in different styles of temples in India as seen in the Pancha Ratha temples of Mahabalipuram, which is used as the blueprint for all Hindu Temples. The view from the top of the temple is breathtaking and you can see almost till Golconda fort. 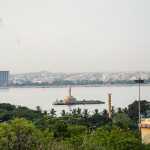 The 18 Meter tall Buddha Statue in Hussain Sagar appears so close that you feel like touching it. 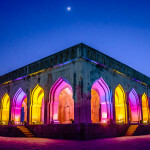 In the evening the temple is illuminated with colored lights and appears to be changing color with the change of lights just like Taramati Baradari. IMPORTANT: Cameras, Cell phones, electronic gadgets etc. are not allowed inside the temple, so either leave them in your car or deposit them in the locker room. 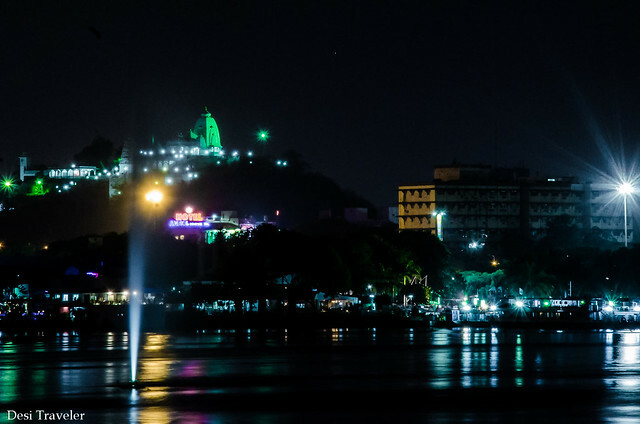 How to reach Birla Mandir Hyderabad: The temple on top of Naubat Pahad is visible from miles away, and is easily approachable from new as well as Old Hyderabad. Check this Google Map to reach Birla Temple Hyderabad. 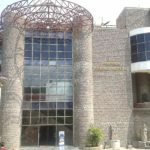 It will be a good idea to combine the Birla Science Museum and Planetarium with Birla Mandir in the same trip as they are so close to each other. Where else in the world you find such beautiful co-existence of science and religion? How about liking Facebook page of Desi Traveler, to get more pictures and content that I post exclusively on Facebook? If you have liked reading this post please feel free to subscribe by email , like it and share it with your friends on Facebook, LinkedIn, twitter and Google+ . Hi Arti.. You are right, Birla Temples bring back the tradition in a modern, clean form and are always a treat to visit. 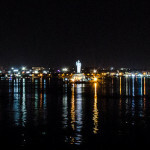 From the Birla Temple in Hyderabad the view is absolutely spectacular, specially in night when you can see the lights in the Hussain Sagar. Always liked your article. They are informative and useful too. I know that Birla Temples do exist in nearly all the cities in India and it is a good tourist attraction too. I was trying to spot you in these beautiful photos though. I remember walking up this hill on a very hot afternoon and feeling nice and cool once I got into the temple. Yeah, the Birla temples are very modern with their use of marble and mirrors and all. Nice to know that they still stick to the traditional structures as far as the construction goes. I’m yet to see the one in Kolkata. 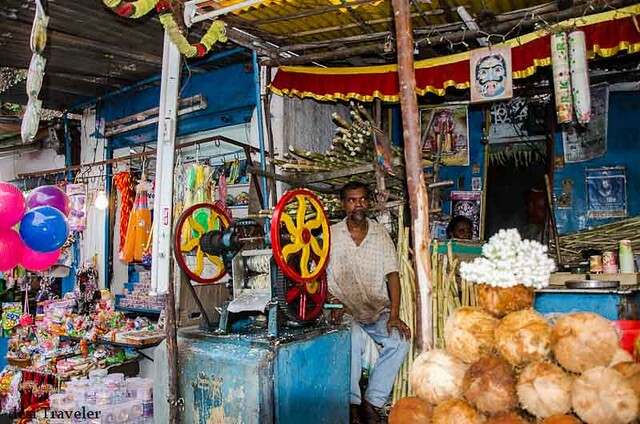 Yes once you reach the top of Birla Temple, the breeze is very refreshing and the view breathtaking…. I am sure there are many more Birla Temples than mentioned by me. The one in Kolkota is also white marble.